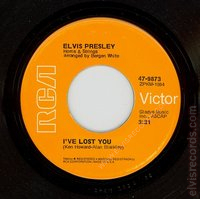 Disc: (7/1970) Orange label. 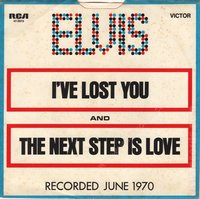 On both sides, Horns & Strings arr. by Bergen White on one line and arranged is abbreviated. 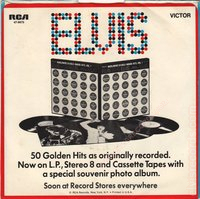 Gladys Music has no comma on end of line. 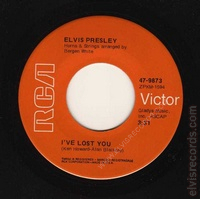 Disc: (7/1970) Orange label. On both sides, Horns & Strings arranged by on one line and Bergen White on another line and arranged is not abbreviated. 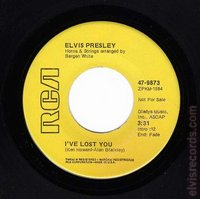 Gladys Music, has a comma on end of line. 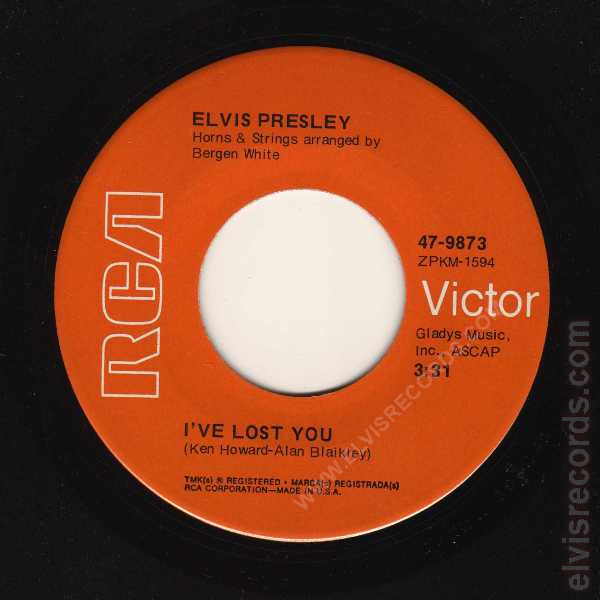 Disc: (7/1970) Orange label. 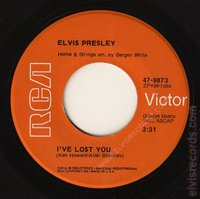 On both sides, Horns & Strings on one line and arranged by Bergen White on another line and arranged is not abbreviated. 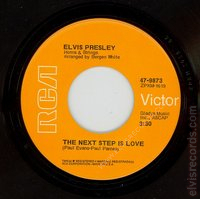 Gladys Music, has a comma on end of line. 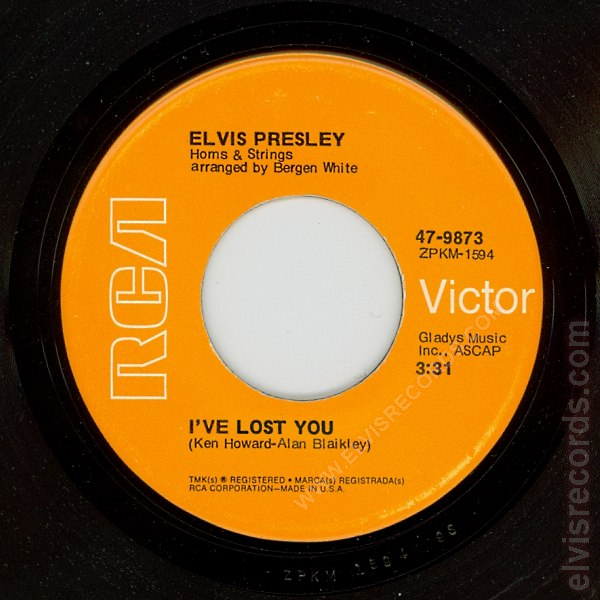 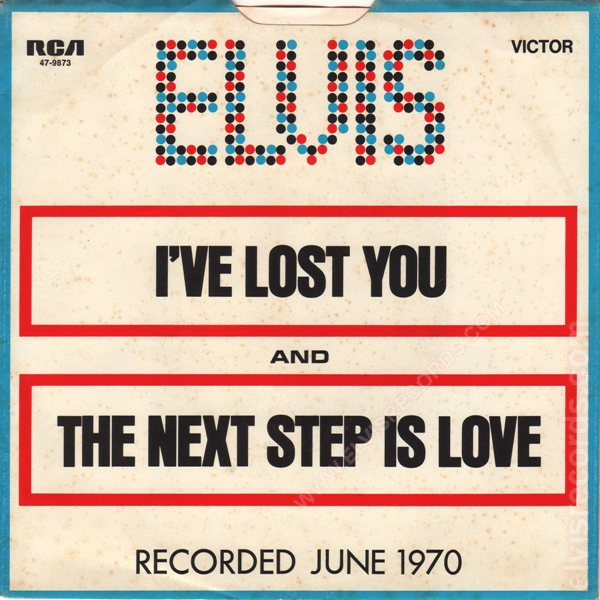 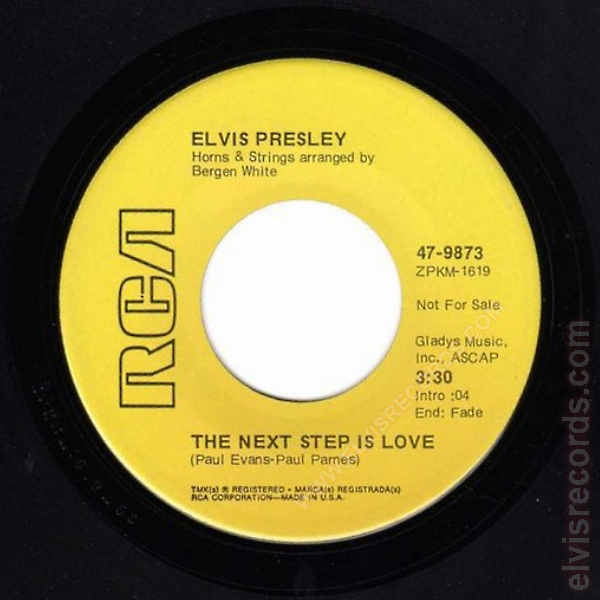 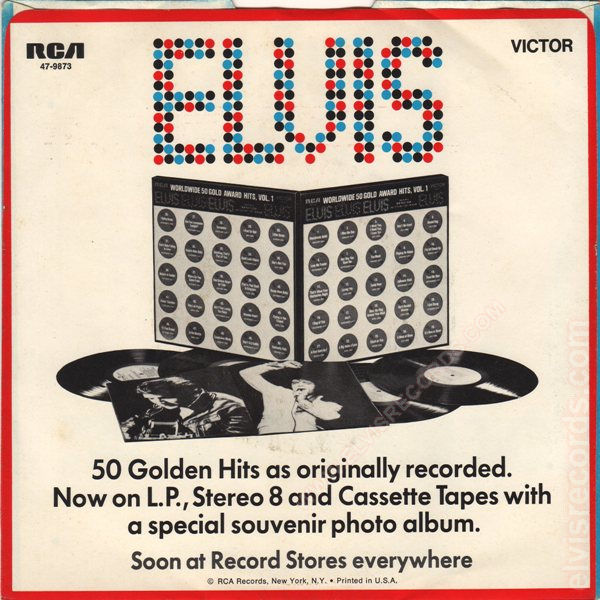 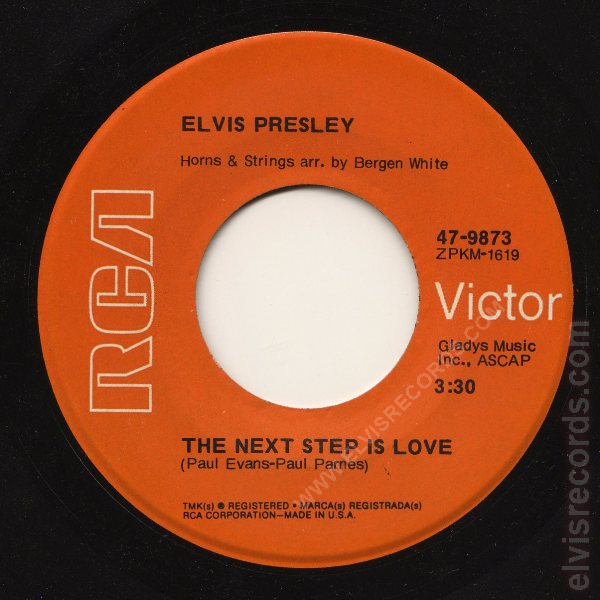 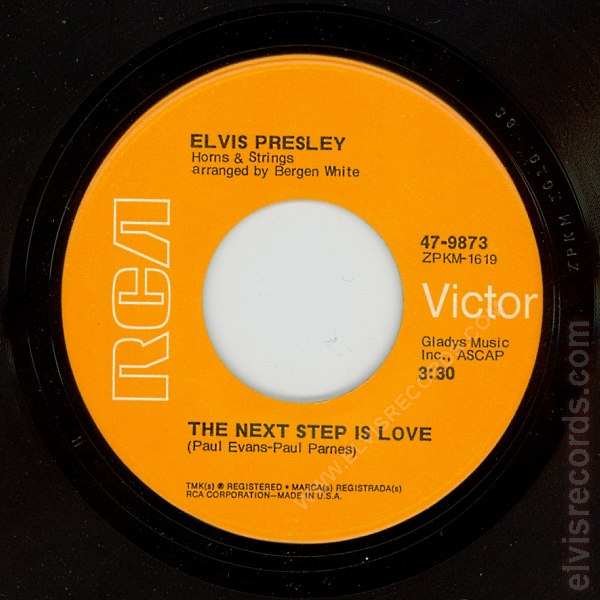 Re-released by RCA Records on 45 RPM as I've Lost You / The Next Step Is Love on the Gold Standard Series label.